The Starlock MAII 32 SC cutter provides efficient results in various heavy-duty soft materials. It features a sharp double-edged blade for cuts at the rapid rate of 20,000 cuts per minute in resistant surfaces. Its blade boasts a thin and sturdy cutting edge that proves resilient to bending, enabling faster progress in heavy-duty flexible materials. 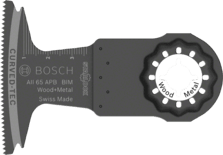 The 55 mm blade length enables deep cuts in resistant soft materials. 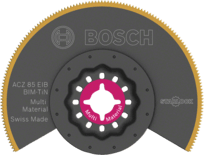 This cutter is designed for use on soft expansion joints, heavy-duty caulking for edges and deep silicone joints as well as for cutting out window putty and putty material. Starlock Max power tools are suitable for use with this cutter. The Starlock Max system offers maximum depth, speed and versatility in even the most demanding heavy-duty applications. The Starlock Snap-In mounting system allows fast blade removal and exchange within 3 seconds without having to touch the blade. 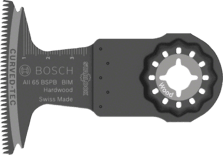 The mounting system produces the highest power transfer due to a 3-dimensional tight-fitting connection between machine and accessory.